When I first saw these images on facebook I wasn’t too intrigued because I figured this was just a similar jacket that someone had found. But I just clicked on the link and this jacket IS the Gratitude Wrap down to every single detail of the ribbed panels on the elbows, the darted panel on the back neck, the double cuffed sleeve that is very unique to the Gratitude Wrap. The inner liner is made from Tencil/Cotton/Cashmere (I like this addition, seems like the tencil would make it glide more over your under layer). The details are too identical for this not to be the same Gratitude Wrap. Even the price is the same at $128. 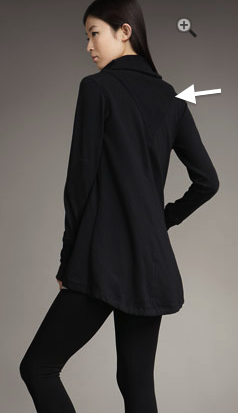 Theory #1 is that Lululemon liquidated their stock over to Neiman Marcus and just had the logo’s removed from the bottom hem and perhaps a few subtle changes were made and non identifiable lulu colors where sold. Theory #2 is that this design was owned by the designer who has since moved on and Lulu cannot re-create this wrap. Clever designer! 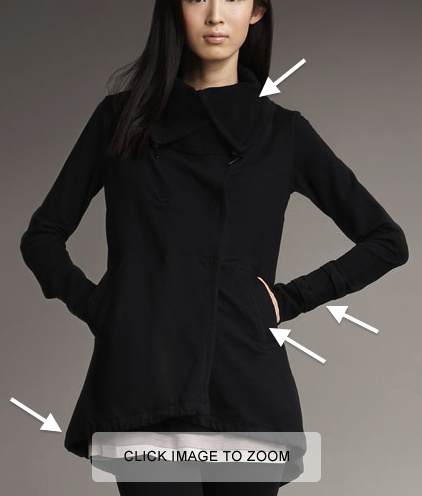 "Lulu Lab – Vinyasa Jacket"
WOW THAT'S VERY INTERESTING. THANKS FOR SHARING THAT. I WONDER HOW MUCH NEIMAN CHARGES FOR THAT "FUNNEL JACKET". 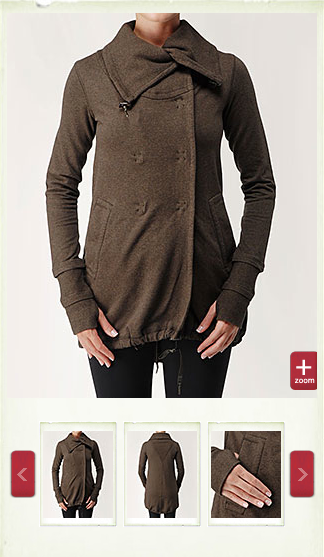 IN THS US WEBSITE the LULULEMON GW IS $118+TAX.